Bins in Brussels metro stations are closed for ‘security’ reasons. Temporarily , transparent bags are available for all your waste, but they do not allow for collecting separately plastic, paper and rest materials. 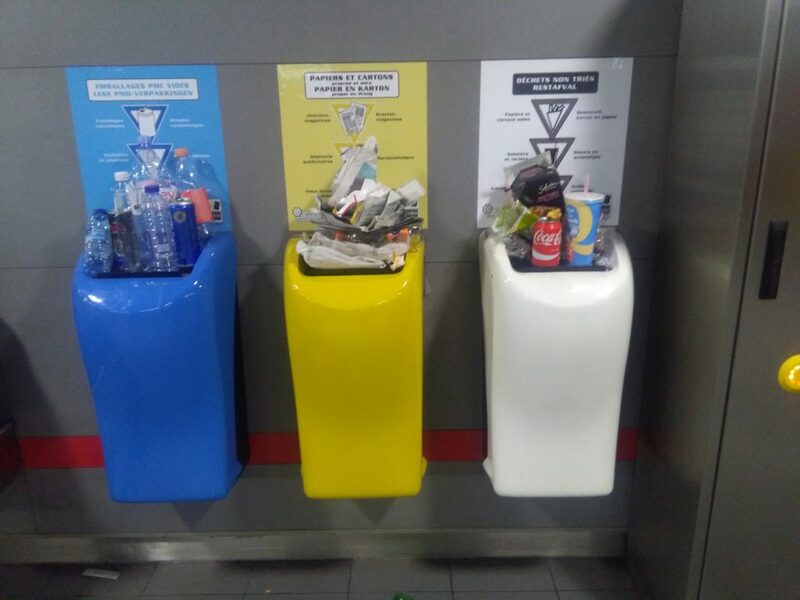 In metro station Kunst-Wet / Arts-Loi, many people still respect the separation of waste by neatly piling up on top of the color indicated bins. Once a social routine like this one is implemented it is not easy to change overnight.